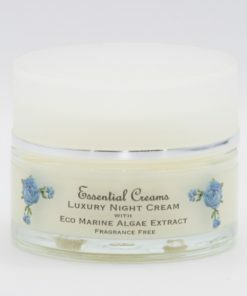 This cream is full of natural ingredients which have a soothing and beneficial effect on the skin. 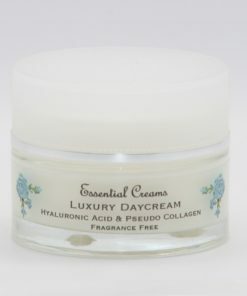 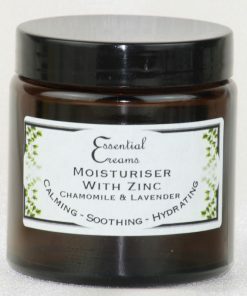 With added zinc this cream works to reduce inflammation, and protect the skin. 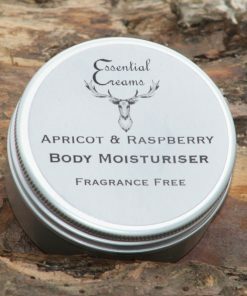 Fragrance Free with no added essential oils. 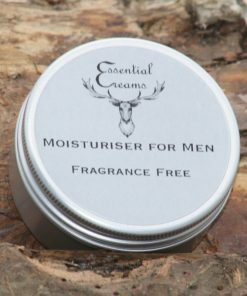 Handmade with Cocoa and Mango butters, nutritious oils of Apricot, Avocado, Calendula, Castor, Evening Primrose and Safflower, plus beeswax and vitamin. 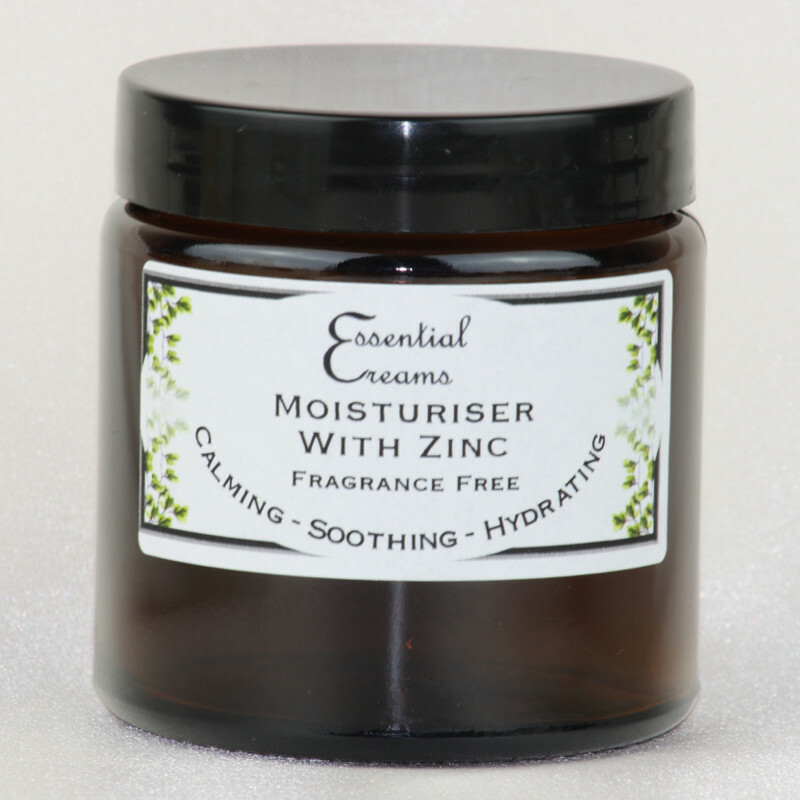 Available in 60ml and 120ml glass jars. Fragrance Free – no Essential Oils or Fragrances have been added to this product. 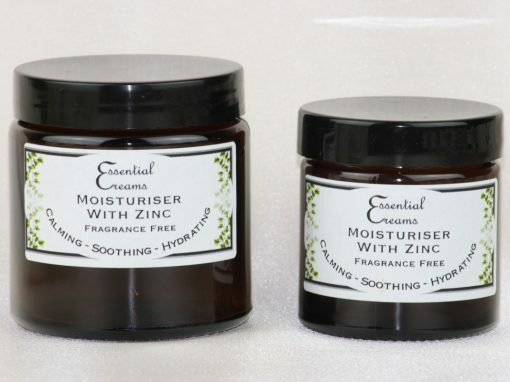 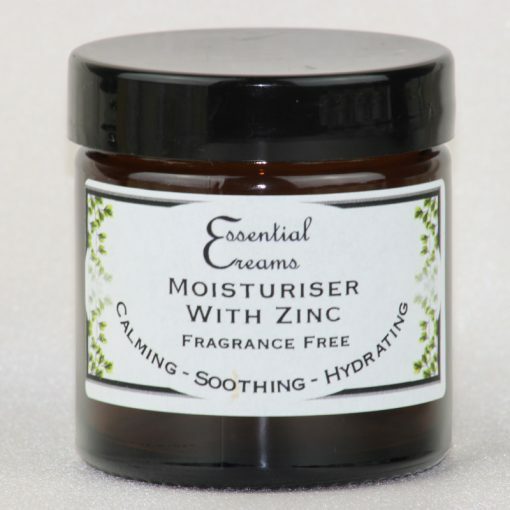 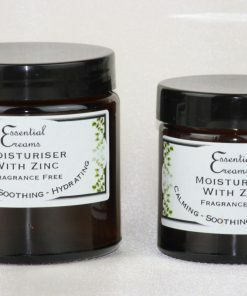 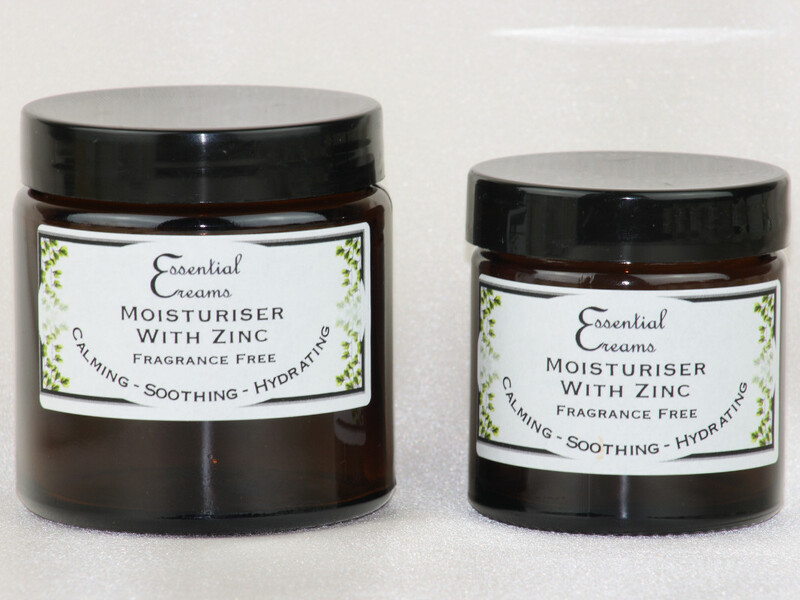 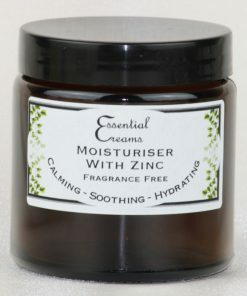 Moisturiser with Zinc, full of natural ingredients which are beneficial to the skin, and have a calming and soothing effect. 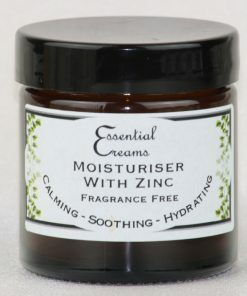 Zinc has many benefits for the skin, including retaining moisture, and helping to reduce inflammation associated with rashes and irritation, improves wound healing, has an anti-bacterial affect by forming a barrier on the skin, and promotes synthesis of collagen forming new connective tissue aiding in the healing of the skin. 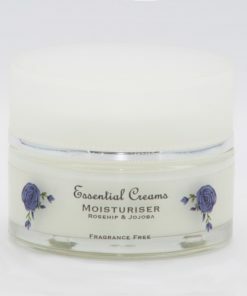 Contains no petrochemicals, lanolin, alcohol, parabens or preservative, and not tested on animals.